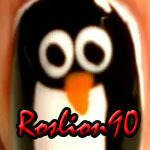 Roslion90 Nails & Co.: Penguin Nails! Hi girls! 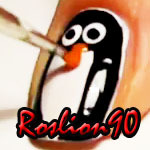 I created this polar nail art. 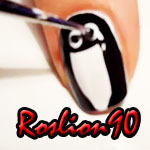 I decided to play a penguin! Very tender and cute! I used three colors: Black, White and Orange. The construction is simple, affordable for everyone. Watch the video I uploaded on You Tube! 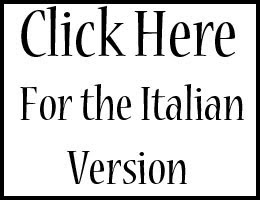 Greetings from Italy!